Whilst doing a bit of blog hopping yesterday, I came across a blog called... the crafter's apprentice. It's a wordpress blog, set up in 2014 (I've been here since 2010). Surely it's unlikely that someone else would think up the same strange blog name and not check if it's already taken? I feel a bit strange about it. My experiments with Kumihimo braiding began in August 2013 and lasted most of the summer. I don't think I've touched my discs since, but I've always wanted to try kumihimo with beads. I bought a kit to make a beaded braid at one of the shows and I finally took it out and had a go. It was really easy. This is a mixture of pearls and glass faceted beads, so it's nice and sparkly. Hard to get a photo of... Unfortunately, there's a major flaw which I discovered the next day when I put it on. The clasp is absolutely pants. I doesn't work. That little toggle is far too small and just drops out and down the bracelet falls! The toggle is part of the end cap which is glued in so I have no idea how to fix this. Anyone got any bright ideas? 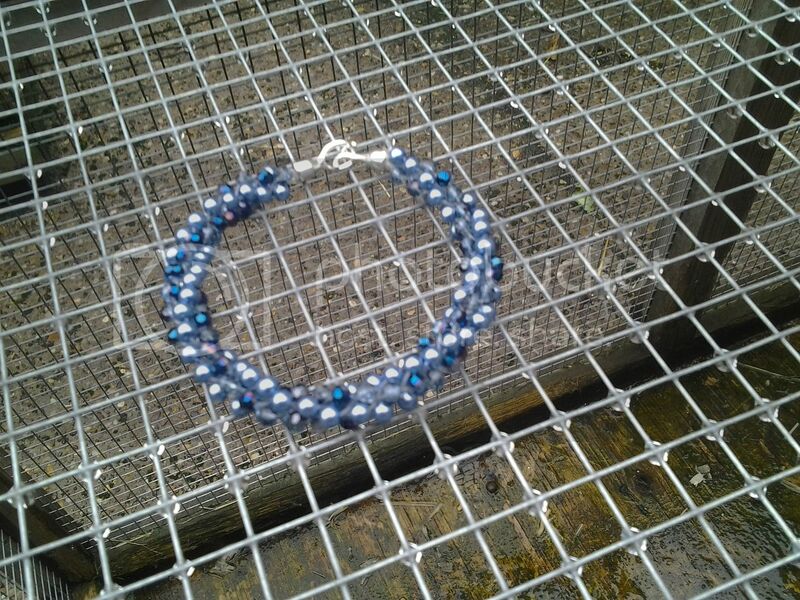 I hope you can get the clasp sorted out as the bracelet looks very pretty. 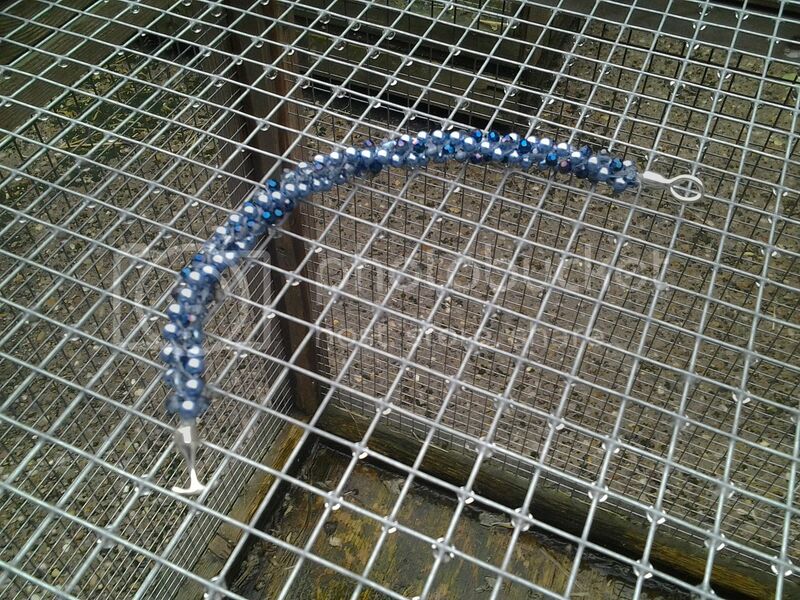 Could you do a wirework extension to the toggle in order to lengthen it? I am kumihimo-ing a pendant cord at the moment, but am going to try a beaded braid next. Can you find a way to add a guard chain, like some watches have? I have to warn you - kumihimo with beads is seriously addictive! The bracelet looks lovely. You could make the calsp loop smaller by wrapping it with tape, cord or something like that. I'm sure there are many crafting apprentices out there - I wouldn't think twice about it, really. There's a suddenlysandra on Twitter that isn't me - I only checked when I read your blog post, LOL! Hope some one has the answer, it is much too pretty to not be worn.